In this short tutorial I’m going to walk you step-by-step through my #1 list building tactic. I’m projecting to hit 1,000 new subscribers a month at the beginning of 2016. Here you’ll be able to see the pages on your site that get the most pageviews. These are the pages you’ll be targeting with content upgrades. To start, pick your #1 most view blog post. Adding a popup content upgrade on this page would be the fastest (and easiest) way to scale the growth of my email list. A content upgrade is a content-specific offering that provides instant value to the reader. or anything else that will help the reader and offer it to them in return for their email address. If you’re anything like me you’d want get your hands on the tool and decide for yourself if SEMrush is really the “best” tool for your needs. I knew I could add value for readers by empowering them to learn more about the tool’s capabilities and test it out. Creating a content upgrade does NOT have to be complicated or time consuming. Last year, I wrote this 7,000 word SEMrush tutorial showing readers 22 ways they could use the tool for competitor analysis and keyword research. It was relevant to the topic of the expert roundup. Keyword research. 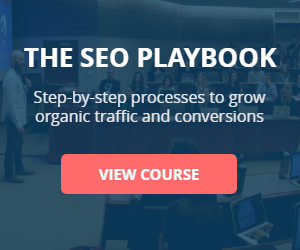 And, it empowered the reader to learn more about (and use) all the SEMrush features. So, I turned the post into a PDF and offered it as a content upgrade for all the people reading the expert roundup. Step #2: Open the post you want to convert into a PDF. All the links will pass from the post into the PDF (perfect for affiliate promotions). Step #5: Download the PDF file and add it the /thank-you page in your autoresponder. But, what if you don’t have any old content to turn into a good content upgrade? 1. Identify the keywords being searched for most frequently by people visiting your most viewed page. Select the "Query radio" button; it will show you all the keywords people entered before clicking through to the page from the search engines. 2. Create an offer related to the keyword. For example, you might find that people landing on your page are searching for “best strength training exercises”. Armed with this knowledge you could create a free downloadable “strength training workout plan” and use it as a content upgrade. Not a lot of work. But an extremely targeted offer. 3. Add a call to action (with the keyword) to your popup. You’ve identified your most viewed content. And created a relevant content upgrade. Now it’s time to promote it. In fact, they CRUSH every other form type - widgets, header bars, in-content, slide-in, you name it. I talk about it more in this post. Thrive Leads is the quickest and easiest way to build, deploy and test any type of email opt-in form. Finally, you need to target the popup content upgrade to relevant posts on your site. It shows the reader 22 ways to use the #1 rated keyword research tool. It provides another medium for readers to consume the content. Tip: PDFs are easy to create and have a high perceived value. The SEMrush PDF content upgrade and popup took me less than 5 minutes to set up using the process outlined above. Adding 694 new subscribers to my SEMrush email list in the last 90 days. And quickly double or even triple the growth of your email list. To start, take an audit of your top 10 most viewed blog posts. Next, categorize the post topic and make a note of the different content upgrade ideas. The content upgrade: A short video showing three simple tactics readers can use to instantly get more subscribers from their blog posts. The content upgrade: A PDF of the post, plus a bonus traffic generation tactic. Bonus Tip: Simply including a picture of the ebook in your popup can increase the conversion rate 110.72%. Take this strategy and apply it to your top 5 most viewed pages. Leave a comment below or send an email and let me know what results you get. This post is just what I need. Thank you for such a detailed tutorial! Awesome, thanks Jocelyn! Let me know how you go. Awesome tutorial (as always), Robbie! Content upgrades, if done right, can be a total game changer. They take a good amount and effort to set up, but the ROI is worth it. Hey Kosio! You’re 100% right there. Huge return on what can often be a small time investment…as highlighted in the post. Cheers! Just came across your blog and I’ve got to say, this is some awesome stuff. Honestly some of the best content I’ve seen. Shared it on Twitter. I’m of the mindset today that if you’re serious about growing your online audience and business then you’d be insane to NOT be doing content upgrades. They just work so much better. I’m pushing to get some of the content on my blog to this level, but it takes a massive amount of time. Just wanted to drop a comment and say keep up the great work man. Wow, an amazing case study Robbie. I am delighted with the content you publish. This is the first time I am leaving a comment on your blog, but I was reading it for a while. All of the articles you publish are outstanding! I wanted to ask you whether you are accepting guest posting on your blog. Cheers Vukasin! Appreciate the kind words, and glad to hear you’re enjoying content. As of right now, I’m not accepting any more guest posts. Thanks Robbie! That was plenty useful. You’re absolutely right, how ever much popups are seen as a bane, they really do work. This is going to be very helpful for me, as my new client is expecting me to help him build his email list. Thanks for all the suggestions and tips. Glad it’s helpful Riddha! Check out this list building case study as well: https://www.robbierichards.com/email/list-building/. It should provide a few more ideas for you! Let me know how you go, Hammad! Nice post Robbie. Keep em up buddy. Good initiative dude. I got lots of information from this article. This is absolutely great! Thank you so much for this information. I just started my Blog so when I start getting a lot of views I will use this system. Incredible. This is like a goldmine for me. I cannot thank you enough for making this post Robbie. You’ve helped me big time. Glad to hear it Bernard! Let me know how you go with the tactics. Nice post Robbie. Thank you for such a detailed tutorial! Cheers James, my pleasure. Glad you enjoyed it. its a Good Idea and will apply on my Video Blog but I Have a small Question. How can we send Emails to So Many People in our list at Once ? I heard that email senders for big lists of emails are paid .. tell me free one thanks ! Mailchimp is free for up to 2k subs. Once your list gets bigger than that you’re going to have to start paying. Hence having a monetization strategy in place. Nice post Robbie. Keep it up buddy. Thanks Jacquilene, let me know how you go with the implementation! Hey Jamie, if you’re referring to Thrive Leads, I don’t know of any issues you need to worry about. Should be good to go. King, there are no conflicts that I am aware of. Keep it up buddy reading you from very long. Thanks mate! Appreciate the support. Means a lot! Amazing work and case study .Surely will try and get awesome results. Keep it up buddy reading you from very long. Haha glad to hear it Ali! Thanks.